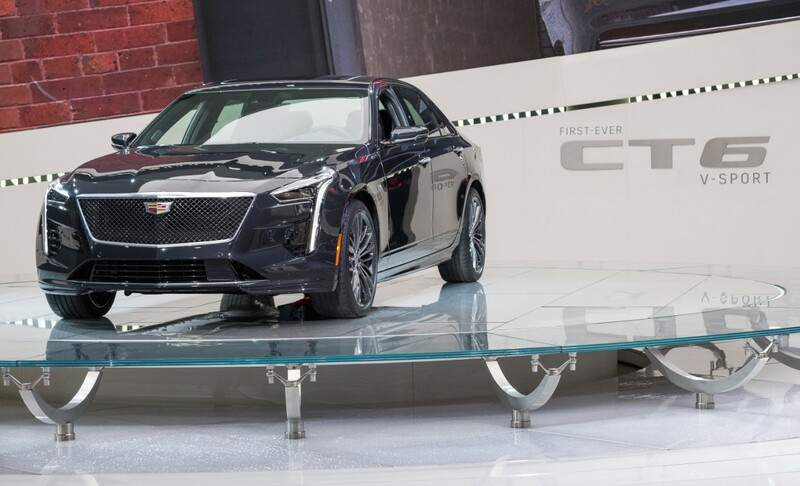 Cadillac CT6 range topper sedan is getting some extra grunt and a new trim level. The new V-Sport trim for 2019 will get a made-for-Cadillac 4.2-litre twin-turbo V8. How’s that for some muscle with your luxury? The new V8 engine is not the only upgrade the CT6 is getting either. With some new design tweaks borrowed from Cadillac’s Escala concept, the new additions aim to give the new V-Sport model some extra incentives for buyers. The headline of course, is the new V8 twin-turbo engine that will pump out a sizable 550 horsepower and 627 lb-ft of torque. The new V-Sport trim is not new to the Cadillac range, with the CTS and ATS getting V badges, but it’ll be the first for the luxury CT6. Previously the CT6 was only available with one 2.0-litre 4-cylinder petrol engine and two V6 variants, albeit one twin-turbo V6. The new V8 engine will be mated to a 10-speed automatic transmission and all-wheel drive. Additionally, the V-Sport will come with modified Magnetic Ride Control, Brembo brakes, and an Active Valve sports exhaust. It will also feature GM’s Active Fuel Management system which deactivates 4 cylinders at low speeds to conserve fuel. Cadillac has increased the CT6’s performance pedigree but is also adding some style changes to boot. There is a new grille that will adorn the CT6-V along with some sporty aero kits that give the car a more aggressive look. The one omission from the new V-Sport trim comes in the form of technology. While the CT6 has been in the news because of Cadillac’s new Super Cruise driving tech (aimed to give drivers a true hands-free freeway driving experience), it will not be available in the V-Sport version. 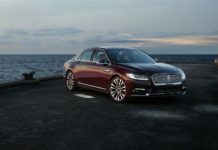 What’s your luxury sedan pick? Cadillac sold 10,542 CT6s in 2017, and while it isn’t the number one option for large luxury sedans in the United States, it is hard to go past what’s on offer. A new CT6 starts at about USD$54000, and while we expect this new V-Sport to sit more towards to USD$70000-80000 mark, it’s still a great value proposition compared to some of its European competitors. Plus, who doesn’t love a mean looking Cadillac? The new CT6 will be available starting early 2019. More details on the new CT6 will be unveiled at the New York Auto Show, slated to kick off at the end of March.